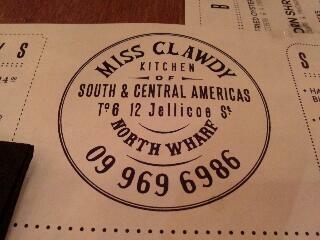 Miss Clawdy and her Creole cuisine was probably the only planned, new food place on my Auckland checklist before my trip. A and I went out one windy day on my first weekend back. I loved it. The spacious interior, clean and airy yet warm and natural. 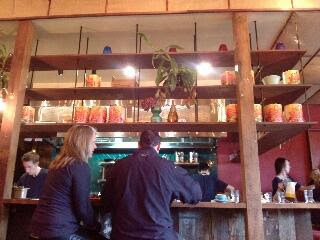 Even though there were heaps of diners around us, it didn't seem so crowded. The high high ceilings may have helped. 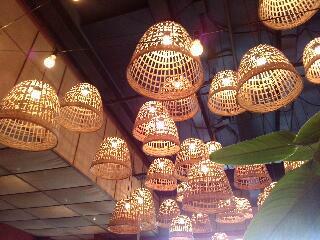 I kept looking up because I loved the basket lights above. 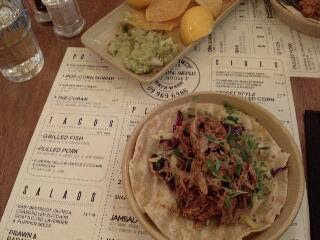 But of course we had tacos. That was one of the main reasons for choosing this place. You should know me by now. I am obsessed with tacos. This slightly spicy chicken one was soooo good. Pulled pork is a classic. 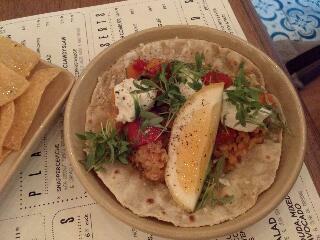 Next time I would like to try the maize bread, it looked interesting. For dessert we had the pear cobbler. I think I was expecting too much, and was slightly disappointed. The next day at work, Miss Clawdy was recommended to as if a new cool girlfriend everyone should make acquaintances with. Get down there y'all, it's worth the trip.